Cruise lasts approximately 90 minutes. 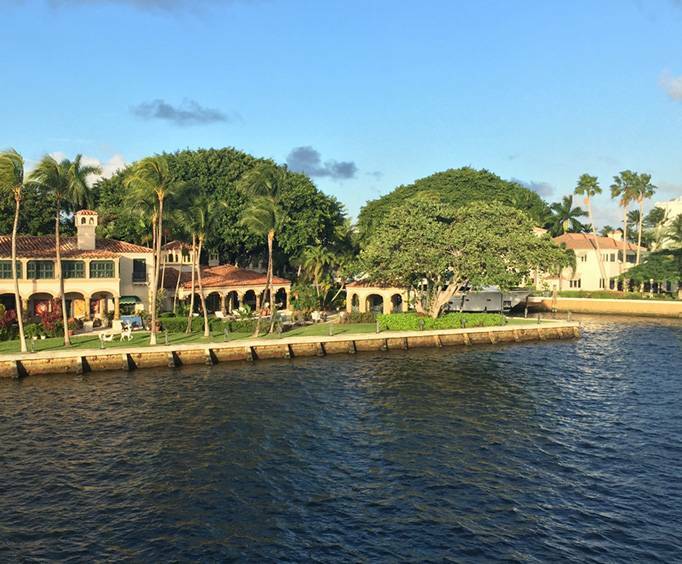 The River Queen Riverboat in Fort Lauderdale is a luxurious liner sure to fulfill all of your sightseeing desires; embark upon the 90 Minute Sightseeing Cruise for an interesting and informative adventure along some of the most famous waterways in Florida. Fort Lauderdale's sparkling waters are at your fingertips once you climb aboard the River Queen. Sail along shorelines of the New River while taking in sights such as Millionaire's Row and local wildlife. While you capture photos and make lasting memories, you'll also be able to take advantage of amenities such as an onboard menu featuring snacks and drinks as well as liquor, wine, and beer. Home to Fort Lauderdale's most elite citizens, Millionaire's Row offers a look into the luxurious lifestyle of the rich and famous. The houses dotting the coastline are elaborate displays, with stunning architecture and beautiful landscaping. The estates featured on this tour have hundred million dollar values and you may even be able to spot some of the 90-foot private yachts owned by the inhabitants. The New River is Fort Lauderdale's biggest waterway. Flowing east from the Everglades, its sparkling waters are home to various species of animals from fish and birds to turtles and more. 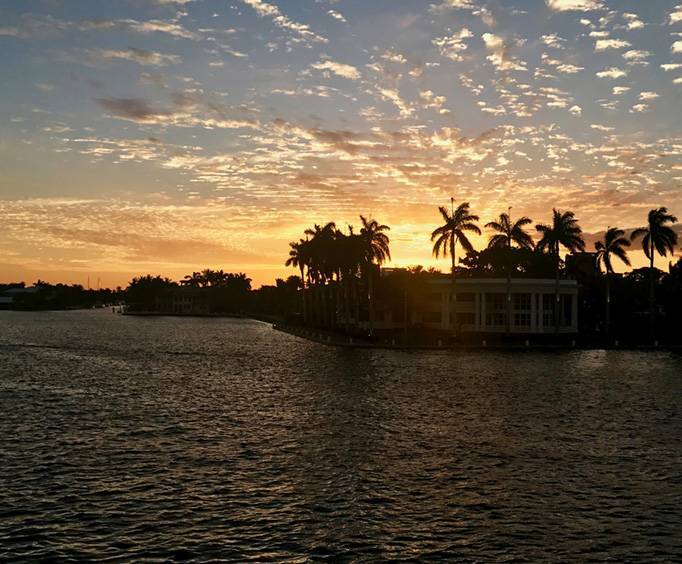 As well as offering plenty of sightseeing opportunities, its waters spill into the intricate waterways of the city, helping grant Fort Lauderdale the nickname, "Venice of America". The city of Fort Lauderdale is known as the Venice of America. Due to its abundance of winding waterways, this coastal city is filled with spectacular sights. From the variety of wildlife and of course Millionaire's Row, it is almost like being transported to a different world. 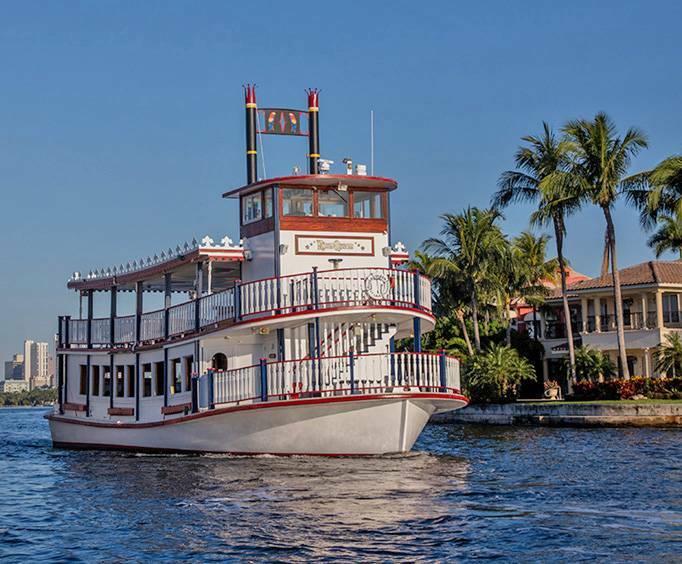 The cruises are great for the entire family, offering entertainment and a relaxing time on the water, so do not miss out on your chance to see Fort Lauderdale's finest with one of the cruises on the River Queen Riverboat.